Mishmash ! 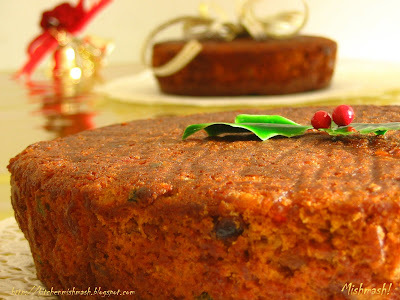 : Fruit Cake- A 'rich' Christmas tradition of Kerala. 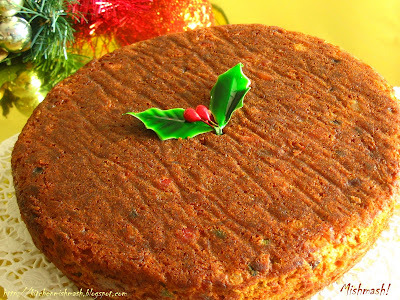 Fruit Cake- A 'rich' Christmas tradition of Kerala. own fireside and quiet home! Isn’t it so true..? In my case, it does not matter if it is Christmas or Onam, the festival season just takes me back to those good ole days and the clouds of nostalgia envelope me and eventually I get drowned in the waves of memories of childhood and teenage, those years I spent at home with my family…..and as much as I enjoy holiday spirit here with CJJ, I miss those family get-togethers and knowingly or unknowingly I wish for a holiday season where our house is crowded with our families and friends and our nieces and nephews running around, with lots of love and laughter…..yeah, I miss home!!! Though growing up in a Hindu household, our parents never deprived us of enjoying the festive spirits in the air, especially during the Christmas season…….for me and my brother, it was that magical time of the year when our father would hang those colourful, glowing stars…..sometimes decorating a small tree in our garden with strands of multi-colored lights and hanging crepe paper streamers and balloons and I still remember the year where we painted a big dried branch of a tree white and placed cotton balls, to recreate the snow flakes on pine trees from our story books…..those days White-Christmas was a just a romantic picture from some unknown fairy land!!! Another cherished memory is crossing those jam-packed roads, tightly holding my father’s hand and hitting the general store for buying the Christmas cards where my father would literally lose his patience over our indecisiveness, then coming back home and writing those cards, showing our best penmanship…..oh, I just wish I could freeze those moments !!! The last two weeks prior to Christmas, we used to have some guests, our family friends and my father’s colleagues, visiting us with trademark of the season, a store bought plum cake in a soft card board box and a bottle of home made wine!!! I remember how me and my brother used to wait impatiently for them to leave and the moment they start the vehicle and leave the front gate, our ever popular 50 meter sprinting would begin to open that box and grab those pretty pink flowers placed on the white royal icing on the plum cake….as we grew old, we realized those sugar flowers were not tasty but it was the rich fruit cake underneath that icing that tasted better :) As much as I loved these fruit cakes, I could not think of celebrating Christmas without making a visit to my grandma’s house where her neighbor P aunty and S chechi used to give us the Chirstmas paltter filled with fruit cakes, cookies, doughnuts and diamond cuts and what not…….I never missed those platters and the stunning cribs, displaying scenes of nativity V chettan used to make, showing his best creativity……it was sheer fun for me watching him and his friends arranging the cribs and decorating the house with lights and glowing stars…….. I am glad and proud that atleast I have these memories to relive on! Even though I am miles away from home now, I am doing the best I can to make some memories here……celebrating Christmas with CJJ in a beautiful country, filled with festive spirits in the air, going to the church on a snowy evening and attending the midnight mass, waiting anxiously so as not to look like a stupid when those sitting next to me, would turn and say “Peace be with you” as I may not have any idea when and where it comes exactly!! For me, the charm of that Christmas eve here is just dream-like, sitting there listening to those soothing Christmas carols and getting lost in “Silent Night……Holy Night” and waking up to enjoy a White-Christmas the next day!! Am sure, 10 or 15 years from now, I will be sitting in some place and rewinding all these memories I make here, NOW! Preheat the oven at 350F (180C). Prepare one 8-inch cake pan and a 6-inch pan by lining the bottoms with parchment paper, butter the paper and grease the sides and sprinkle lightly with flour. In another small mixing bowl, add the egg whites and beat on medium speed until foamy, and the whites begin to look shiny and smooth and form soft peaks, when you stop the mixer and lift the whip. Note: It is important that the egg whites are beaten in a clean and dry bowl without any trace of grease/fat/water; otherwise the whites will not expand to its full volume. Mix egg yolks and vanilla extract and beat well for a minute, in low-medium speed. Mix butter and sugar until they are creamy and combined well. Add the beaten mixture of egg yolks and vanilla to this butter and sugar mixture, followed by wine, spice powders and caramel (1/2 cup) and beat thoroughly till everything is creamy and combined. At this stage, add the flour in small quantities and scrape down the bowl once or twice. At the end, stop the hand mixer and using a rubber spatula, fold the thoroughly beaten egg whites very gently, (Do not beat) until no white streaks are visible. Finally, drain the soaked fruits and keep half a cup of soaked fruits aside; add the rest of the fruits to the batter and gently fold them into the batter. Toss the ½ cup fruits, kept aside earlier, in 1 tbsp flour. Bake for around 1 hour; baking time differs depending on the pan size and the oven and hence, towards the end, if a skewer inserted in the center comes out clean without any crumbles, it shows that cake is ready. Note *: I use the ready made spice powders from McCormick. If it is not available in your pantry, powder 3 cardamom, 2 small pieces of cinnamon, and 2 cloves and a small piece of nutmeg along with caraway seeds/cake jeera. Back home in Kerala, this fruit cake is served with a glass of sweet red wine. 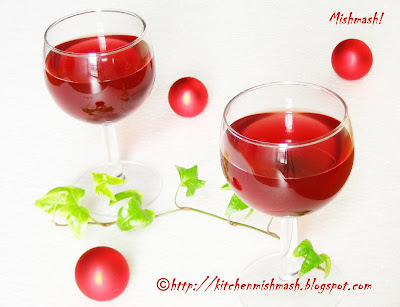 I have already blogged the recipes for beetroot wine and pineapple wine; those interested may check out the recipes. UPDATE: Based on few of the comments I received asking for brands of rum and wine I used, here is a small note that might help you. You can use any brand of rum for this recipe; the brand does not make any difference; I used BACARDI Gold which is available in liquor stores and some supermarkets here in US; stay away from flavored liquor. 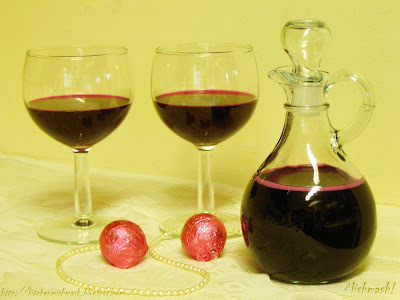 For the wine part, I used my home made wine but you can use any wine of your choice. For the soaking part, fruits can be soaked fully in rum or a combination of rum and wine, thats purely a personal choice. Hope it helps! 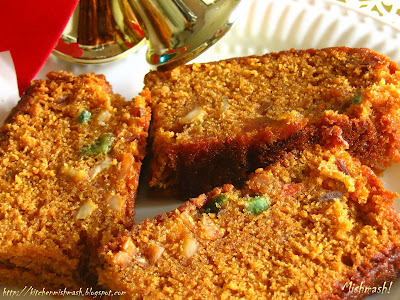 This rich fruit cake which is an integral part of the Christmas traditions in Kerala goes to Meeta's Traditional Feasts. Childhood memories are really unforgettable and always close to the heart...Miss those days!! Lovely cake Mishmash...will surely try it out. Happy Christmas to you and your family!! i am home on vacation and the cakes have started pouring in. mom stopped making this a few years back, cuz its too time-consuming for her and anyway we get so many store-bought ones from friends. Wow! Mishmash.....delicious looking cake....I too remember "plum cakes" from my childhood. Happy holidays to you. lovely piece of writing and a wonderful cake! oh god,cake looks superb, i want to try this. Is the rum and wine is essential to make this cake? if yes what rum and wine i should buy pls tell me, is that available in small qunatity pls advice me as my husband also don'tknow about this. I use a pretty similar recipe for a fruitcake, but haven't tried it with the caramel - that totally sounds like the kicker! Shaheen - your write up made me so nostalgic. Though I have never been in Kerala during Christmas time, but I cherish days sitting down watching my mom & aunties make christmas goodies at home, n when I was a little grown, the enthusiasm knew no bounds when I was asked to help with either chopping the fruits, or maybe pressing to make the murukku, or dipping the achappam once in a while. Those days can never return, only memories are left, which will be cherised forever, n I am sure all of us hope to give back to our children a part of such beautiful memories which our parents gave us - your cake looks perfect, except that I really love ones with a much, much darker colour, the colour of chocolate perhaps. Do you think I can make the caramel into a much darker colour or would I need to add anythign more. thanks for sharing such a wonderful recipe, crores of thanks for such a lovely cake. u have explained very neately and elobaretly the steps, i have some doubts to make this cake,pls clarify- what rum i should use, is it Essence Flavour Imitation Rum or alcoloic rum. pls tell us what rum and wine do u use to bake this cake and which brand. wow., Vielen dank ..many many thanks. i was looking for a good tried and tested Fruit cake recipe for the past few weeks, am so much more confident in trying your recipe than trying something which i might have googled up from the net. I would surely let you know how it came out..thanks a ton again..and happy holidays..
Lovely Cake.. lookd Delicious as always.. Your writing is so good & love the way you bring back old memories!! I have had this cake at a friends place & Its truely heavenly & Yummy!! A glass of home made wine is the best. Thanks for wonderful recipe!! wish you and your loved ones a merry christmas. Wow that is what i call a reall Kerala christmas cake. I just think the Christmas cakes back home have a aroma which we don't have here. Shn...once again you did it. Loved you writing about your childhood christmas tales and the cake, ah we don't expect anything less from you, do we ? Wow.. this cake looks too tempting and it's one that I love. Thanks for this beautiful recipe. I've not seen tutti-fruti here in the US. Any tips on where I can find them? Thanks. Having tasted this delicious fruit cake you baked and send to me :) many thanks for that...this is a must try recipe. Your nice write up brougt back memories of those sweet days ...as a little girl how eagerly did I wait for X'mas season to come....to decorate the crib &x'mas tree.....&so many fond memories.....really really miss those childhood days....:(( how I wish if we could be children again..!!! Lovely cake,Shn!Happy X'mas to CJJ &u ! Shn, festive seasons do bring back a lot of memories...loved reading about yours...and that is one gorgeous cake...perfect. Neat read of your childhood days! Wish you a merry x'mas! You are so damn good!!!! I was just wondering why I see no activity on your blog and lo... you r back with such a lovely recipe!!! Great pics as always!! Thanx for the recipe. Lovely Mismash!! Christmas without fruit cake, Naaa!!!! Thanks for the reciepe and the festive presentation. Can't wait bake my version. I have my fruits marinated in red wine from last december, 2006. Not able to take time to bake it D.
its just the first week and I can already smell Xmas in the air!! Wow! this is looking really great.... ! 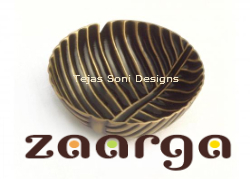 thanks a lot for sharing, I am going to tring my hand on baking these days so you s is next in list now :). Thank you for sharing this recipe. I am going to try it, even if not this Christmas then sometime early in the new year. It looks so moist. Love, love, love the memories!!! 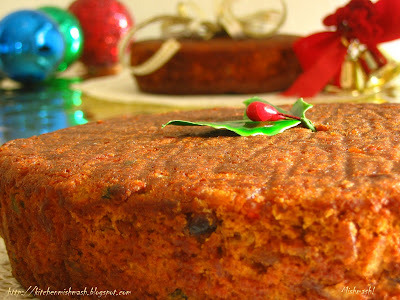 I too made a Christmas fruit cake that is traditional here in the Caribbean, will post about it on December 15. Lovely cake for the holidays, Shn! YOur posts have such vivid imagery.....i feel them as i read them! This one is a timeless classic! Happy holidays to you and your loved ones, dear! Sugarcraft India, Thanks a lot and wish you the same! Do let me know how it turns out for you. Anonymous, to get the right taste and flavour based on this recipe, I would say rum and wine is essential. Even if you dont have wine, pls make sure that you have atleast rum to soak the fruits. yes, you will get rum in small quantities, like 375ml bottles in liquor stores and some supermarkets if you re in US. You can buy any brand of rum, I used BACARDI Gold and homemade sweet wine. For the wine part, any type of wine is fine. Let me know if you need more info on this. Pls do drop a comment if you have any more doubts, as its frustrating if it doesnt taste good after taking all the effort. Shella, MY MANE IS NOT SHAHEEN!!!! I dont remember the last time I tasted an achappam..you reminded me of my grandma's crispy and tasty achappams:) yes, you can make the caramel darker to get more darker shade. Anonymous- Anitha, You can use any brand of rum; it doesnt make any difference. I meant alcoholic one and I used BACARDI rum and a home made wine. you can use any store bought wines of your choice. Waiting for your feedback... all the best with the cake preparation..plan and proceed. Anonymous, thanks for dropping by and showing so much confidence in the recipe...so have you already tried any recipes from this blog..? Do let me know how it turned out for you, I really appreciate your feedbacks. happy Holidays to you too. Laavanya, tutti frutti is very much available in US as I am also staying in the same place and have been buying every year, the only thing is that most of the time its available during the holiday season only...after that it disappears most of the time....you check for SUN-RIPE fruit mix at any superstores, its a mix of candied lemon peels, orange peels, cherries et al. Sunita, thank you dear.....for people like us who are away from our homes, festive seasons are more of a nostalgic one, no matter how much we enjoy here!!! Anonymous, Since you live in Australia, I have no idea where you will get there ....tutti -frutti will be available there for sure, but its just that they might have a different name for that...anyway , check for candied orange and lemon peels...in US, i used a brand called, SUN-RIPE fruit mix. Dont know if that info helps you. You can use any brand of rum and wine. I used BACARDI Gold and home made sweet wine. Do buzz me here, if you have more doubts. Sindhu, To your first question, i should say, I am not sure how exactly it would turn out...generally candied lemon and orange peels are used in fruit cakes. You check for SUN-RIPE fruit mix in Walmart or any other supermarkets during this holiday season, it will be available for sure...they usually keep it along with glace cherries and dates et al...so dont skip that. Cake jeera is caraway seeds which again is available from McCormic at the spice aisle in Walmart. Musical, ohhhh your words just made my day :)) Hey you re busy these days.?? yes u r right, after taking so much of trouble and preparing cake and if it doesn;t come good because of one ingredient it is very bad. Anonymous 1, Checked out the link you gave and I find it ok as it says its a "pre-mix of Sultanas, Seeded Raisins, Currants, Mixed Peel and Glace Cherries." , So yes, go for that...In a fruit cake, you can add any dry fruit and nut of your choice and the flavour of the cake, apart from the caramel, is more or less dependant on the flavours of these dry fruits and nuts because we keep the cake uncut for 5 days and in this time frame, the flavors from the soaked fruits and caramel and spices set in fully. Since this fruit mix has citrus peels , i guess you will get that flavor too.So go ahead and use it. But if you think candies citrus peels are less compared to other fruits, then add a tsp of grated orange/lemon zest. As for the wine, I would suggest using any sweet wine, does not matter , if it is red or white, I have used both wine at various times. If you have trouble finding sweet wines, soak the fruits fully in rum and use any wine for the 2 tbsp wine suggested for the batter. Do contact me if you have me doubts...just drop a comment, I will try to respond as early as I can, Also make the caramel in advance, as sometimes, people tend to mess up there, so its better to prepare that in advance , so you have time to make one more batch incase it does not turn out well. All the best and let me know how it turns out. Anonymous 2, The ones you have listed here are all flavored rums and I wonder how that would affect the overall taste of the cake! It is always better to go for unflavored liquor for this recipe. I dont know in which country you reside, if you re in US, go to a liquor store and ask for this brand, they will help you find the bottle, it is quite a regular one here. Otherwise, if rum is not at all available and if there is no homemade wine too, then go for a red wine and soak the fruits. I am suggesting all these based on the recipe I have blogged, there are people who use different types of liquor for fruit cakes. Again you need not go for this specific brand, any brand of rum is ok if it is unflavored. Take the help of a liquor store assistant..thats the best thing to do. I have also used a brand called, Captain Morgan- Original Spiced rum, which also goes well with this cake. i am new visitor to your blog, i just discovred your blog 10 mts back and i found such a lovely cake recipes and u hv explained everything very neately, any common man like me who is not at all baked cake will temp & confident to do your recipe. What a divine fruit cake we see here!!! Thnks for sharing this wonderful recipe, apt for the season!!! Happy Christmas to you and your family,Mishmash! There's a running American joke about the hate of fruit cakes. (Using them to hit someone over the head like a brick or as a paperweight...) I suspect it's b/c most fruit cakes are hard as tack and tasteless as cardboard despite the avalanche of ingredients. This, however, is the sort of fruitcake one can't help but fall in love with. Looks perfect Shn. I have to lay my hands on some wine now to soak the fruits. Lovely lovely fruitcake. Your post was sentimental and so fantastic. I feeled honored to have this fruitcake as part of my MM buffet! i was seeing your website from days and i read all your comments in each recipe and sort of solved all my doubts. I went for shopping yesterday and i purchased all the item for making fruit cake and black forest cake. i have not got sweet wine and cherry liquor, they have suggested me one area where i may get cherry liquor, so i am going there tomorrow, can u pls give me the brand name of the cherry liquor it will be easy for me to search. and one more thing if any doubt regarding particular recipe can we post our doubt in the section itself, or we hv to post in the newly added post. APOLOGIES TO YOU!! I dont know why I got that impression. I thought I read it somewhere on your blog. Sorry once again!! thaks a lot for your responses to all our queries, u r really so helpful and have lot of patience. i am looking out for some cherry liquor today, hopw i get it, and i am sure we don't hv get dutch process cocoa powder here (australia), i infact searched yesterday and bught some other brand. what is cake flour, i never found flour like that here, i even asked the store assistance, they also don't know, they have self raising flour and wholemeal flour, is this is the cake flour pls advice. What a sweet, sweet post. And the fruit cake looks completely delicious! cake flour is available in Australia. The easiest brand to get is Anchor pastry flour for cake and biscuits. It comes in 2kg box. Available in both Woolworth and Coles and also available in special gourmet shops but it is more expensive. For Dutch Process Cocoa-Powder check at Essential Ingredients (they have stores in Syd and Mel), they may carry dutch cocoa powder. Or if you re in Melbourne, go to Prahran market and visit Monsieur Truffles there. candied lemon and orange peels (tutti frutti) are available here. Most supermarkets should have them (they call them mixed peels, and these are already coarsely minced). some of the gourmet food stores carry better products....places like the Essential Ingredients or David Jones Food Hall should have them. Anitha, you may check the link for substituting cake flour, if you cant find them at all. I was searching for a better recipe for christmas cake and i found yours.i really liked the way u explained it and all the recipes.Thank you.I'll be a frequent visitor from now on.take care. Hi, thanks a lot for your help for me to find the product in Australia. I will defentely visit the essential ingredients in sydney i will let u know the result. 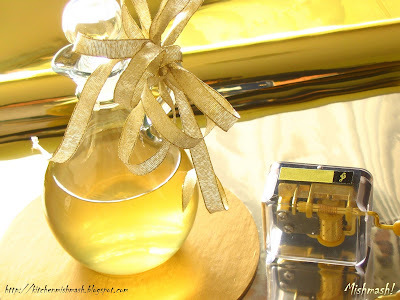 http://www.winehouse.com.au/ShowWines.asp?pID=32009 pls check it up and tell me if i get good cake using theis brandy. Again i didn't get bacardi gold but i got captain morgan rum i hv bought that and i got sweet white wine. About Tutti fruti i saw one of the annonmus had send the moxed fruit link to check for u, the same one i got it i have bouoght that too. i will let u know the result and my experience in baking cake. thanks a lot for your support and help, god bless you. Looking for more wonderful recipes from you. what a wonderful cake, it is wonderful because it is prepared by wonderful women, whoever prepare this cake will become wonderful women, ha ha ha. and after draining the fruits from rum what we can do with that left over rum? can we reuse again for soaking again. Ann-series, oh thats so sad!! I hope you have some good company wherever you re and will make some pleasant memories there too. Thanks so much for dropping by and I wish I could share the cake with you! Merry X'mas ! Mishmash!Those old Christmas days are really missing !Dear we also used to decorate one small ulli chamba as Christmas tree,mainly with baloons and colour paper and stars ,those 3 things were available those days in nearby shop!! Thank you for posting this recipe. I have a question about the soaking process. I intend to keep the fruits and nuts soaked for atleast a week. Does it matter if I use a steel/ceramic container? I don't have a large glass container and I am unsure whether rum would react with a steel container. Please advise. Thanks. Anonymous, I am not sure about the steel containers....sorry, I have no idea. ceramic should be fine I guess.Sorry, I cant be of much help here! hai , i live in us .thank yu for your recipe .i already soaked my froiuts ,but i have one doubt ,i didnt get the candied orange ,but i got some candied ginger .cajn i use it? South Carolina, I would suggest staying away from candied ginger, it would spoil the taste of the cake, unless you prefer that flavour. Generally I have not seen any kerala fruit cake recipes using candied ginger. You can check at Walmart for mixed fruit mix for candied lemon and orange peels; they have a separate section with baking ingredients, next to the grocery aisle, and this SUN-RIPE fruit mix is available in that section, you need to go before X'mas to get this, they remove this temporary aisle immediately after X'mas. You can also check at the other grocery stores. I made the cake and it is delicious. I just posted it today. i'm trying out this cake today ... one tip is, first timers make the caramel the day before ... this allows it to really cool down and u will not risk using v hot caramel in the cake !!! I made it and it tasted good. I didnt get the rich caramel color. Should have caramelised it bit more. Made my DH taste it and he said "EEEEEEEW it just taste like back home" It was a compliment because even if he doesnt like fruit cakes he felt that the taste was to the point. Bravo to u for recreating the exact taste. By the way you made me make thing that was time consuming , opposed to my nature. Check my blog. I have a cake for you. I made this cake and somehow managed to wait till the fifth day to cut this. Everyday morning i woke up wanting to cut the cake so badly, but my husband didn't let me, but I think the wait was well worth it. Whoever had the cake just loved it and said it was great and am just passing on that kudos to you :). 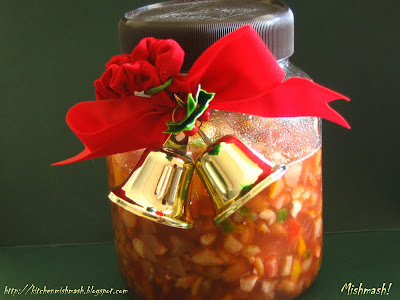 Thanks for sharing such a wonderful recipe & wish you and your family a merry xmas!! Guess I 'll ve to use normal cocoa powder itself. I 'll be cutting the cake tmrw only...5 day deadline right ;) I 'll surely let u knw the results. wow mishmash!perfect fruit cake.I always stay back from making this fruit cake because of one and only ingredient -Rum.Any way to substitute rum with any of the juices but get equally tasty ones. I was looking for a fruit cake recipe and found your blog. The cake came out really great even though we could not resist temptation for 5 days! :) Thank you so much. i had searched the net crazy trying authentic tried recipe. looks like my search as yielded wonderful results. But one query bfore i actually bake it. Normally powdered sugar and butter is creamed. you say granulated(indian one)will do? pls answer I one to try as quickly as I can. till the time u answer i will soak the fruits. Sb, yes thats a great tip, I had mentioned about making it in advance, I guess....so how did the cake turn out..? did u like the taste ? Madhavi, I havent tried a purely non alocholic one, so I dont know if it will give the exact taste but you can surely soak the fruits in orange juice. KSK , please leave your email id here. I will respond to your mail. I made the fruit cake for a Christmas party hosted by Keralites and it was a great hit! Everyone loved it! Thanks a million for such a wonderful recipe with step by step instructions! Happy New year to you and your family! Hope to see more wonderful recipes from you!!! hi mishmash, i made your fuit cake and it was delicious.It tasted like the ones i used to have in kerala. Thanks for the recipe. 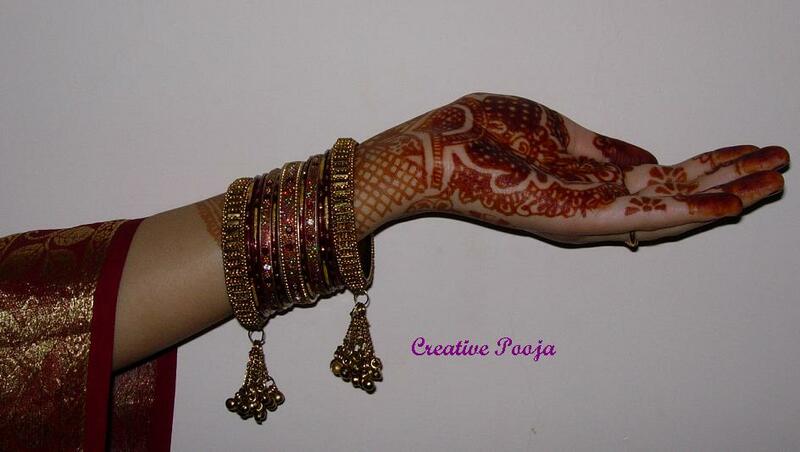 Do visit my blog http://sandhyaskitchen.blogspot.com/ when you find time. I have been looking for a rum/plum cake recipe for a while now (my husband loves them! ), and found yours; it is very nicely written and very detailed. I tried it; and the end product was delicious! My husband lovvved it! Thanks so much for sharing!! This is the first recipe I tried from ur blog... Let me admit it. It was the first cake I ever made in my life and the end product was fabulous. Thanks a lot for sharing. I was always craving for this cake since I reached US. For my husband’s B’day I made this cake (for a second time..:) and I brought office… can u believe?..it was a big hit in my office…Thanks a lot for sharing.. Please post some cake receipes which can be prepared in a microwave oven or otherwise in a pressure cooker. It took me six months to actually bake the cake, since I put my query for using granulated sugar. But the fruits were very well soaked the cake taste was superb. I want to know whether I can get tuti fruiti in US? If not is there a way to make it by caramelizing sugar. If so can you please add the recipie.pleasee reply fast since I would like to make the cake before sept 28. And is the granulated sugar different from the one that we use in kitchen? I tried this cake last Christmas and loved it!! So did my husband who misses the cakes we get in Kerala during Christmas. I meant to write a comment on your blog, but forgot. I plan on making the cake again this Christmas, and this time I will soak the fruits well in advance! 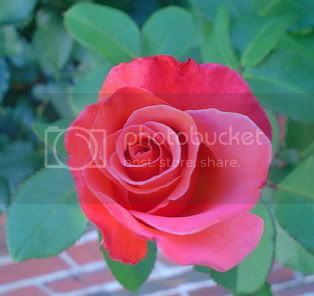 Your blog is great, and the pictures are beautiful! Ur blog is awesome. I was looking for a fruit cake recipe and I found yours. It seems to be very delicious. Today, I bought all the ingredients required for the cake and soaked the fruits in rum. I plan to make the cake about after 15 days. Cold u please tell me if the soaked fruits need to be refrigerated during this period or can they just be kept outside? Thank you for sharing the recipe. I will definitely let you know how it turns out. Thank you very much for the feedback, Shn. I will definitely let you know how it turns out. I am planning to make it during Thanksgiving. Shn..I need to make non-alcoholic version of this fruit cake. Can you pls suggest any substitute for rum? I hope you had a wonderful thanksgiving weekend. I made the fruit cake and it was super hit. It was just awesome. Everybody loved it. My friends said that it tasted just like the one we get in the bakeries in india. I will make this often from now on. Im new here. i was looking for a nice fruitcake recipe and thought i'd try urs. It looks great. But i just wanted to know if i can use imitation rum extract instead of rum, and if so how much would b needed to soak the fruits in. Eagerly waiting 4 ur reply. How can we prevent settling down the fruits to the bottom of cake. ,,?? any tips..?? Hi Shn, A comment on your blog from my side is long over-due. 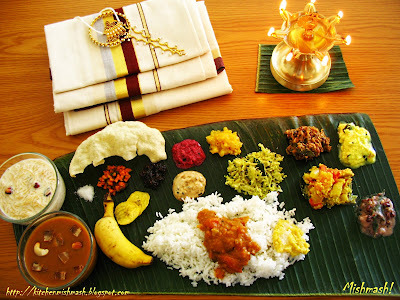 All the credit for my Onam Sadya this year goes to you. 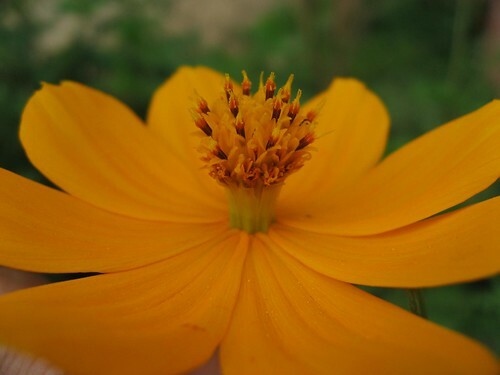 For almost a week before Onam, your blog was my home page! Everything looked good and turned out delicious, and I will send pics. My very first "christiani" cake turned out super. We gobbled it all up within 3 days. Now I plan to make 10 more cakes as a christmas presents for our friends. Thank you so much, Mishmash!!! the cake turned out sooo well... couldnt blve i myself baked it...just cut it yesterday and its almost over...planning to bake again... :) thankyou so much for this amazing recipe!! I am amking the cake for tomorrow , but i completely missed the fact that this cake should be cut only after 5 days. i am making it only today :(. will that be a big problem? Inspired by your recipe, my husband just baked this cake. He did make a couple of modifications though. He used your recipe as a reference point and it worked really well. Just had a small slice of the cake. It is F-AB-U-L-O-U-S!!!! heyy, nice recipe. I was wondering is it necessary to use rum for the flavour. Is there anything else I can use instead of rum. thanks for the recipe. Thanks for wonderful recipe. It came out really well. I am new at baking but your detailed description made it easy. have been wanting to bake fruit cake for long ..many thanks!! Shn, I saw your response to a question about keping the soaked fruits outside, un-refrigerated- for about 2 weeks. I have a lot more fruits soaked in rum and am planning to keep it for a few months, or even till next christmas. Do you think that I should refrigerate it since it will be for a year. How do they do it in Kerala? I made another batch of small cakes as gifts fro friends and had my hubby and son help me with it... Thanks again! Thank you for the wonderful fruit cake recipe.I baked the cake yesterday and am resisting myself from cutting it.I tasted the crumbs but they kind of taste more of egg. Is that how the cake will taste after 4 days or will the rum from the fruits change the taste?I have soaked the fruit and nuts for 3 months.An eagerly awaiting a response from you.Thank you.It was fun to bake the cake with my husband. If you have forgotten to soak dry fruits in alchohol, heat the fruits in alchohol in medium heat for about a minute. This is really easy and handy. I used bacardi aged rum this time for christmas and it came out really well. I have guests coming over and i really want to make this cake, but i really don't want to use any rum or wine, what would you suggest as an alternative. I have children coming up too and i really don't want to be serving them anything alcoholic in it. Let me know your thoughts it would be very helpful and im excited to try this out since i am a great fan of fruit cakes. Thank you very much for the recipe. I used it to make my first ever fruit cake and it came out awesome - in looks, texture and taste. Hi, I am planning to make this cake this week. Should I soak the nuts also in rum along with the tutti fruity? 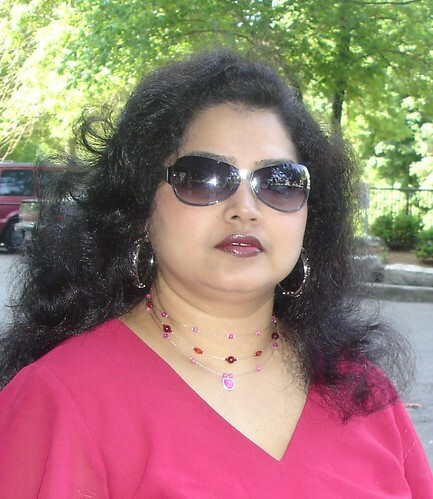 Hi Mish I love ur blog, have tried a lot of ur recipes (mostly malabar - I miss my mom's food :( ) & have loved them all. I've made this cake twice in the last 2 months and saying it was delicious will be an understatement. I used lesser amt. of sugar & used Shiraz wine instead of the rum. Thx a lot 4 this recipe. Actually i am a silent reader for the past 3 months. Nowdays i am becoming a fan to you. I have prepared Your plum cake as you given in the recipe. It came out very well. Thanks a lot. I am a beginner when it comes to any form of baking. so i don't want to make a big cake. I have only an 22cm round baking tin. How much quantity should i take. Its really a yummy dish i tried out and came out well. Keep a column for subsicritpion via Email. I have to say I go through a whole lot of recipe blogs but yours tops them all. The recipes itself are super but the attention to detail is amazing. I have a question - you have mentioned that the fruit cake will stay in the refridgerator for very long but it should have a long shelf life even without being refridgerated, due to the alcohol? what is this cake jeera? I made your cake last yr and everyone loved it. it was really nice. I am planning on soaking the fruits sometime now so that by then they would be really nice. Should i have to keep it refrigerated while it is being soaked or leaving it outside in a jar is fine? This recipe is a keeper. I tried it last year and my husband loved it. This year, I am going to make a bigger batch for friends. Hope I dont mess up :P Thanks for the post. It's Christmas time again and I plan to make this fruit again. I made it last year and it was awesome. This year, however, I have already soaked the fruits and nuts. I modified the recipe a little bit and used 80% rum, 15% cream sherry and 5% red wine. Since I bake a lot, I look at a lot of recipes and I came across this combinations. Will let u know how it comes out. My question is, have u ever used muscovado sugar in baking? I have used brown sugar but this one seems to be popular in fruit cakes. I was wondering if the procedure needs to be changed if I use this sugar as its properties slightly differ from regular sugars. Wonderful Recipe..I have it all wrapped up and waiting to taste it..Though I tasted a pinch..I have linked you in my blog post. Do u think its okay to use caramel syrup instead? I am a lazy bum !!! the cake looks very yummy.. i m planning to make it for this christmas..can u pls tell me the type of cup u use?? Your recipe sounds so great!I'm gonna give it a try this Christmas.Can we use Aluminium bake pans to bake ? this looks soo good, i wanna try it, but is there a way to print this? This looks sooo good, i wanna try it, but is there a way to print this? Congrats on the new entrant into your family. I have baked the plum cake in line with your recipe and left it on the kitchen counter. My husband has been looking at the cakes and asking me to cut it. He says Shn won't know if you cut it ahead of time. I won't be surprised if my husband and kids just decide to eat it. You have wonderful recipes and excellent presentation. Hope you find time to update the site with the baby now being around. Have a blessed Christmas and a wonderful year ahead. Hi Shn..I baked this yesterday and its sitting on my counter top..counting down till i can unwrap it! it looks and smells really good! Thanx for the detailed instructions! Wow.. Wonderful recipe to follow! Just came out awesome. Thanks Shn! A friend of mine mentioned this came out well with brown sugar for caramel. Also told me to mix the soaked tutti fruti in some flour instead of just mixing it into the batter. This make the fruits not settle down in the cake and gets evenly distributed. Another recipe called for using pepsi as a substitute for rum. I have not tried this though. Excellent!!! I tried this recipe to the dot..and I must say that it came out real well. I waited (impatiently) for about a week to eat the cake. 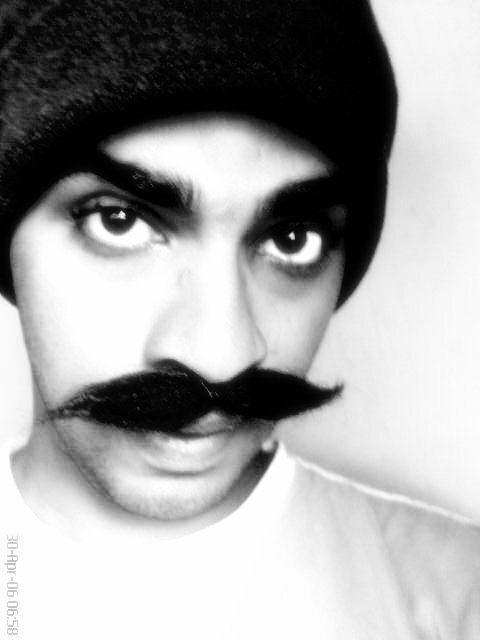 I didn't use cake jeera, cause I couldn't find it. Also, the smell and taste of the rum is a bit too strong in the cake. Next time, I'll try soaking the fruits for less than 48 hours...or try the Coke alternative mentioned by another blogger above. Reading the recipe....its really tempting. I would like to know on what temperature the soaked fruits in bottle should be kept..in room temperature or in fridge. Hi...the cake recipe seems to be tempting....I need to clear one doubt...Can you please tell for how many hrs/days/months the soaking process in rum should be done. again,again,again...I loved fruit cake so much!! Can you pls tell me size of ur measuring cup for fruit cake? hi can u please give the measurements in grams? because the cup size may be different. i would like to try your recipe this christmas. I have made this cake couple of times and every time it has turned out really wonderful. I have a question, every time I soak the dry fruits in Rum and drain it when I make the cake, I have some Rum left. Can i reuse this Rum again to soak the fruits? Hi.. thank you for the recipe! I have a question.. When I caramelized the sugar, it became very hard after cooling down. Since you had included that the caramelized sugar should not be hot.. I didnt know how to keep it in the liquid form. Can you help with this? I made this christmas cake and it turned out really gud,i'd like to know the shelf life of this cake.I cut this cake on the 5th day as you said ,will it stay gud for another week ?If so how do i store it. can i be able to try dis receipe using a microwave oven..
have you tried from a spice cake box mix and doing the rest of the recipe as regular. Your nostalgic story ,the pcture and the presentation is so good .. I just have a simple and quick question.. Can I add garam masala for the spice powder ??? Happy Christmas to you and your family !!!!!! Neha, thank you..I havent tried with garam masala as my garam masala doesnt have cakejeera (which gives a nice smell to the cake. ).but i think u can give it a try , it would give a slighly different smell and flavour, depending on ur spice mix. Athulya, i don't know...i have never tried. sorry! 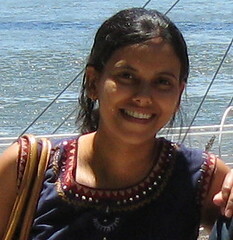 Indu, sorry for not replying promptly to ur Q. At our place, it doesnt stay for more than 3-4 days..but i think it would be safe for a week..but anything beyond that, u need to refrigerate immediately after the maturing period. mary, the key here is tp keep swirling the pan, till you caramelize all the crystalized sugar from the edge of the pan, while caramelising and then after you pour cold water to it, continue swirling as it helps to melt any crystalized sugar that forms when u add the liquid. swirl...swirl..and swirl. Sherin, i reuse the rum only if the soaked fruits stayed in it for only a period of one week or so. Juby, thanks :) so did you? Diana, i use standard measuring cups...if you have a set of measuring cups and spoons, u can use the same ,onlt thing u need to make sure is that u follow the cups and spoons of the same set. i have never weighed, so difficult to convert the exact amount to weight. Anon, I have clearly given that in the recipe..anywhere from 1 to 1 year. Anon , i keep it at room temp but if i want to keep it for a year, i usually keep in refrigerator , just to be on the safer side. 8 * 8 pan?The reason for asking this is my cake has not risen as yours..Not sure if my pan was too big for the measurements given. Would it happen also with over beating of egg whites? Please reply when you get a chance. Anon, oh my...not 8* 8, i used 8*2 ..that's why your cake is flat:( did u like the taste? Hello,I'm a big fan of your blog.Most of your recipes are similar to my mom's.So these recipes bring back good old memories.Last night i made your fruit cake which i have made last year too.It always come out good.But it is never same as the plum cake we get back in Kerala. why is that? Is it just me or does yours come out the same taste as kerala plum cake? Thanks a lot and I appreciate you posting all the recipes. Had been wishing to eat this cake reminding me of my days back in India and stumbled upon this recipe. THe cake came out delicious. Its difficult to wait for 5 days but that truly adds to the taste and flavor (I could not resist eating a little bit after baking and then ate it after 5 days and could clearly see the difference). I saw someone else had also asked the same question, not sure if you have answered yet..my cake doesnt taste the same as the plum cake we get back in Kerala. Is it just me or does yours come out the same taste as kerala plum cake? One change I make to your recipe is that I use egg replacer instead of eggs, as my hubby doesnt eat eggs. I am planning to try it with eggs one time, to see if that makes a difference. Other than that, just wanted to check with you, if yours comes out tasting just like the plum cakes in Kerala? Regardless, i love your recipe! And the end product too :) Thanx a bunch for sharing! Hey Mishmash, I cant begin to Thank YOU enough for this recipe. I have tried it atleast 4-5 times, and its come out PERFECT every single time. Its not just me, My Man & My Son is a huge fan of this Fruit Cake. First of all thank you very much for giving us a nice fruit cake.I tried the cake and it tastes good.But i can't get the sponginess in the cake.Can you please tell me how long i should beat the flour.Thank you once again. I can't wait to try this Christmas/Plum cake recipe this year! How do I follow your blog? Hello,I am planning to soak fruits this week for Christmas.Can you tell me the measurement of the 6 inch pan you used?I am planning to use 8 * 4 pan,so would like to adjust measurement of ingredients depending on the size of the pans you used. This is such a wonderful recipe! I wanted to ask you , this cake yields an 8 inch and a 6 inch cake pan. What would be the measurements if I wanted to make one 9 inch cake? This is an awesome recipe. I wanted to know , if I wanted to make a 9 inch cake , what would be the measurements for the ingredients? Hi Mishmash, Made this cake several times. Words are not eough to say THANKYOU to you. Cake was soo tasty. For this year's X'Mas carol, i made more than 100 pieces of this fruit cake. Each and everybody who came for caroling loved it soo much and wanted this recipe. I made one change, instead of adding 1 and a half cup of sugar, i added only 1 cup of sugar. Also, when mixing the flour, don't beat too much, only slow mixing is enough and then fold in the egg white. If we beat the flour, the center portion of the cake will not raise, saw a dip in the center portion. Congratulations on the well written pieces you out, attention to recipe details and the gorgeous pictures!! I followed your christmas cake recipe almost to the tee(added 1 cup more fruits and sprinkled rum on it right out of the oven) and its the best I've made so far- moist ,great flavor and color! Keep up the great work! And Merry Christmas to you and yours! Thanks for the recipe! I followed it to a T except for the amount of shah jeera and dried fruits (I reduced both to my liking) The cake came out great!! will be making this again :) happy holidays!! Hi, I love trying my hand on cooking. I loved the recipe. But in place of egg I used hanged Dahi and in place of Caramal used Honey. I baked the cake as suggested but could not resist the temptation of eating it. So in place of waiting for five days, I eat one of the four cakes that I made just after one day. I and my family have not doubt that we have never tasted one better than this one. The end product has turned out awesome. Thank you so every much. You are great. Thank you once again. Just yesterday I baked this cake following ur recipe. I soaked the fruits for 5 days and didn't add shahjeera as I couldn't get it in my hurry...But then this was the best Fruit cake I've ever baked. Thanks so much. Your blog is very useful to me. Prawns Biriyani and Curry meen pozhichathu are the favourites in my house. Wish you a MERRY CHRISTMAS!! I baked the cake on christmas day and it came out really well. I reduced the sugar quantity as I felt it will be really sweet.